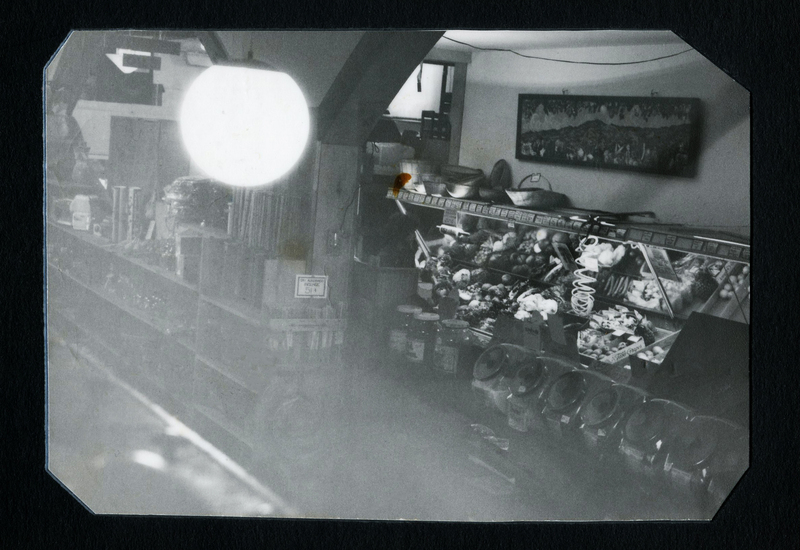 From our humble beginnings in 1971 as a food-buying club to our current status as Southern Oregon’s first and only Certified Organic Retailer, over 10,000 members strong, the Ashland Food Co-op has been connecting our community to healthy, local food for decades. With passion, purpose, and a whole lot of love, we’re more than just a grocery store. We’re at the center of a movement. In fact, we’re on a mission to change the world. Our cooperative business model is at the core of all we do. Quite simply, we place people, principles, and the planet before profit—always. Our exceptionally high standards give customers confidence, knowing that we prioritize our relationships with local farmers and food producers first and fill our store with healthy products you can trust. Park your pooch, fill your shopping cart, catch up with an old friend, grab a healthy snack, learn something new, or just sit out front, or in the deli, and watch the world go by. Everyone is welcome at the Ashland Food Co-op. A small group of Ashland families join together to form a food buying club. Membership grows rapidly and within a year's time the first storefront opens on North Main. 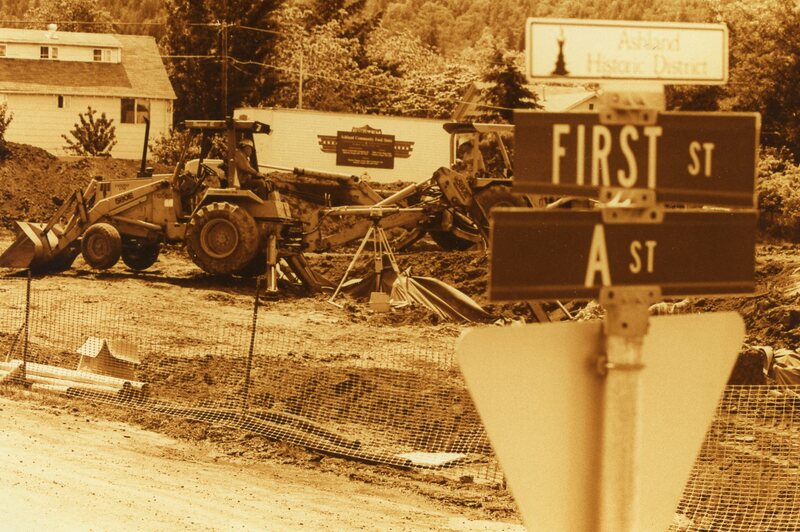 Mid 1970's - Growth continues and operations moved to a larger location on 3rd and Lithia Way. Volunteer labor was phased out. Hired paid staff and first GM to meet the growing needs of the store. Store remodeled adding more retail, office and warehouse space. 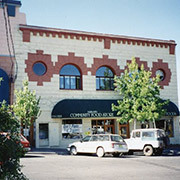 Break ground on current store. Grand opening of new store at 237 N. First Street! Expansion of facility to include 4,500 additional sq. ft. with expanded deli, juice and java bar, larger produce dept. and added a meat & seafood dept. Re-incorporated as cooperative enterprise and begin taking memberships in our newly formed co-op. Over 10,000 owners. Strong and growing! Fresh, healthy, organic food doesn't have to be expensive. 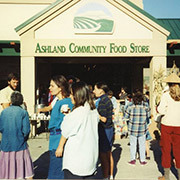 Since 1971, the Ashland Food Co-op has been helping people feed their families on a budget. As a member of National Co+op Grocers (NCG), we’ve leveraged our collective buying power to offer lower prices on healthy, organic food and pass even more savings on to you. Enter Co+op Basics. We’ve lowered prices on more than 300 pantry and household staples to make organic, healthy food accessible to every shopper. From the pantry to the medicine cabinet, we’re keeping healthy living affordable with Co+op Basics. Looking for practical, delicious ways to stretch your grocery budget? Try our Co+op Basics Cooking Class. Offered bi-monthly, this class teaches handy tips on how to save at least 26% off your grocery bill each time you shop. Members of our Marketing and Education team will help you learn to shop on a budget and prepare flavorful meals that are super affordable. We’re on a mission to change the world. By 2030, the Ashland Food Co-op will be zero waste and carbon neutral, a living model of cooperation with the laws of nature in all our affairs. In 2007, an owner-driven strategic objective was established to evaluate and improve our commitment to social responsibility. We began by adopting a framework for sustainability created by a non-profit organization called The Natural Step and started down the path to becoming a fully sustainable business by 2030. As a zero-waste facility, we will minimize waste intake and maximize beneficial reuse and diversion from landfill. We will use no persistent chemicals. We will model sustainability, justice, and equity in all of our relationships with employees, vendors, community, and other co-ops. Our pre-consumer food scraps in the deli are used by local farmers as compost and fodder. We have a well-established in-store recycling infrastructure. Owners are encouraged to reduce paper waste by signing up for electronic receipts. In 2016, 60% of our total store sales came from organic products, including $5.4 million in organic produce. Local products (produced or grown within 200 miles) account for 25% of sales, totaling nearly $7.5 million. Due to greater local spending and employee benefits, our Co-op keeps more resources in our local economy—on average about 18% more. In 2015 we generated and recirculated an estimated $48 million, $7.2 million more than a similarly sized conventional store. Currently, we only use energy from climate-neutral renewable sources, and we only use what we need. We purchase 100% renewable electricity, offset all of our business-travel carbon emissions, and use Water Restoration Certificates to lessen the impact on critically dewatered rivers in our region. Recently, we made some significant upgrades to our cooling infrastructure, including the installation of LED lighting in all of the refrigerated cases and new, more efficient cases in our produce and meat departments. 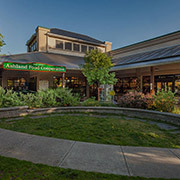 The Co-op is also proud to be providing support to the City of Ashland as we build a Climate and Energy Action Plan to protect our community from climate change. Our commitment isn’t just to reduce our environmental impact, we’re also committed to creating healthy, sustainable communities while inspiring others to do the same. In 2016, we upgraded our rooftop solar panels and donated the old panels to the Ashland Emergency Food Bank. The panels were installed free of charge thanks to our trusted community partner, True South Solar. Last year more than 1,500 people attended our cooking classes and special community events, we offered 50 free Monday Night Lectures on a variety of health and well-being topics, and 95 local nonprofit organizations received $25 gift cards through our donations program. We also collaborated with Rogue Valley Farm to School to offer three summer camp programs for kids, teaching the importance of farm-to-table cooking and eating. Opt out of paper receipts and get them emailed to you instead. Dine in at the deli and receive 15¢ off for each durable plate or bowl you use. Bring your own cup and receive 15¢ off the cost of your beverage. Participate in our Bicycle Benefits program. Pay a one-time $5 fee, receive a sticker for your helmet, bike to the Co-op and save 5% on your shop. The Ashland Food Co-op believes in helping those who do great things, and people like you make it happen. By shopping at the Co-op, your food dollars support a vibrant local community. We’re delighted to pay it forward by helping those who are committed to making the world a better place. With that in mind, we give one $25 gift card per year to eligible organizations in support of the valuable work they do. Please submit requests by filling out this request form online, at least three full weeks before your event. Gift cards will be mailed out once they are approved. Please email Michelle Guerrie at [email protected] with any questions you may have. 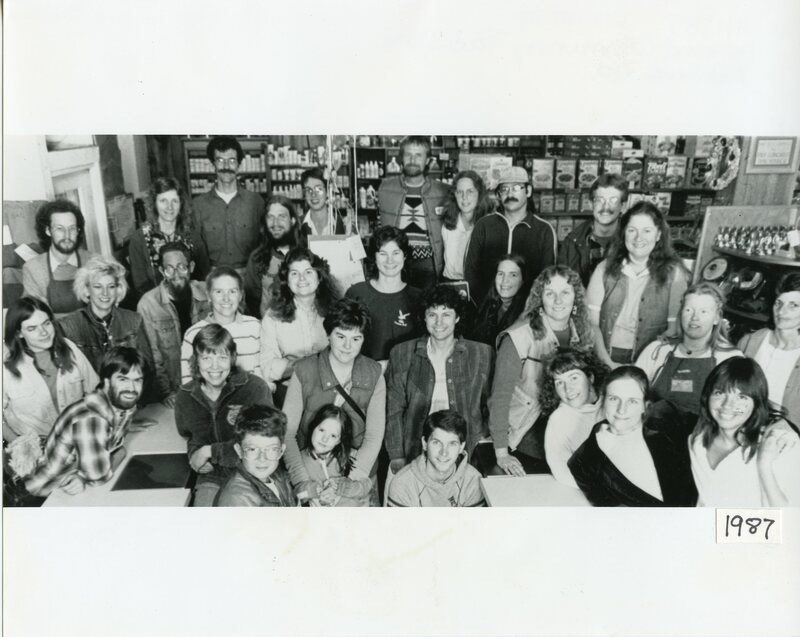 At the Ashland Food Co-op nothing means more to us than contributing to the health and strength of our community. At the beginning of each year, we set aside a small percentage of sales from the previous year to fund the Community Grant Program. These funds support local projects that align with our vision of enhancing health and enriching community while promoting our mission to provide education about food, nutrition, and health. In 2018, we proudly donated over $25,000 to 32 area nonprofit organizations doing excellent work in our community. The Community Grant application cycle is open! Click here to begin an application. All applications are due by 6pm on March 31, 2019.